The total number of Rohingya who have fled to Bangladesh since violence flared in Myanmar’s Rakhine State has now reached 1.2 million. Roughly 720,000 of them are children. There is no quick or easy route to follow. The trek can take weeks, as families pick their way through thick jungle and endless rice paddies with little to no food, water or possessions. Infants and elderly are often carried in baskets and on makeshift stretchers. Some don’t survive the journey. Others do, only to then find themselves trapped. Around 12,000 people are currently caught in an area of No Man’s Land between Myanmar and Bangladesh, known as Zero Point. Among them, is ten-year-old Huzzatul. His family have been here for more than four months. “We fled because they were firing bullets at us,” he says. In this sprawling crisis, Huzzatul’s story is typical. 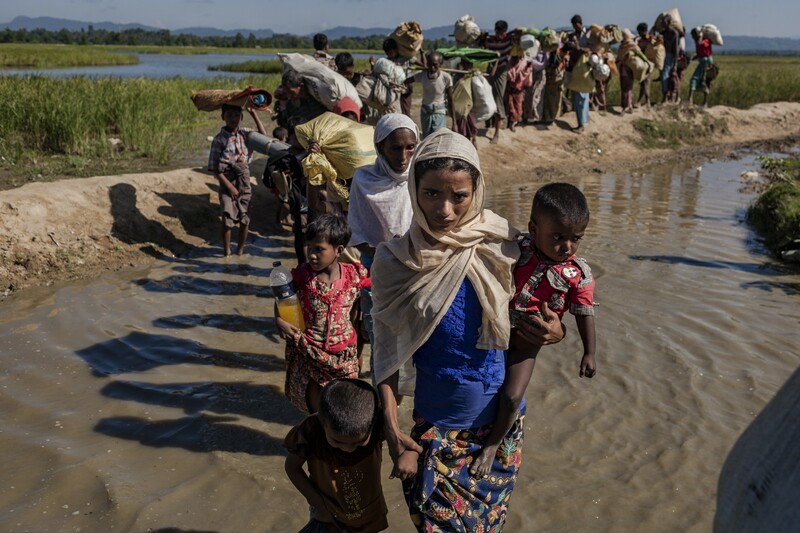 Thousands of Rohingya continue to arrive each week. And with the wet season fast approaching, the prospects for children, and their families, get gloomier. 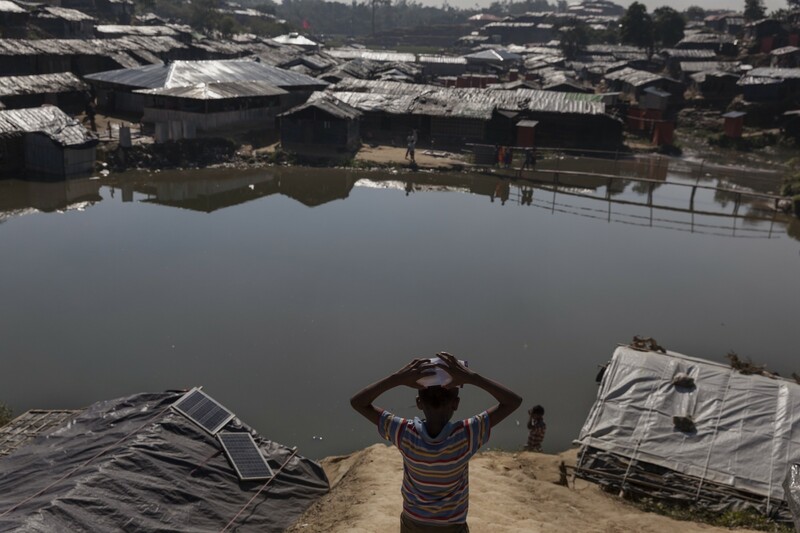 “As we get closer to the cyclone and monsoon seasons, what is already a dire humanitarian situation risks becoming a catastrophe,” says Edouard Beigbeder, UNICEF’s Representative in Bangladesh. Without assistance, few Rohingya families are equipped to survive the conditions in which they are living. 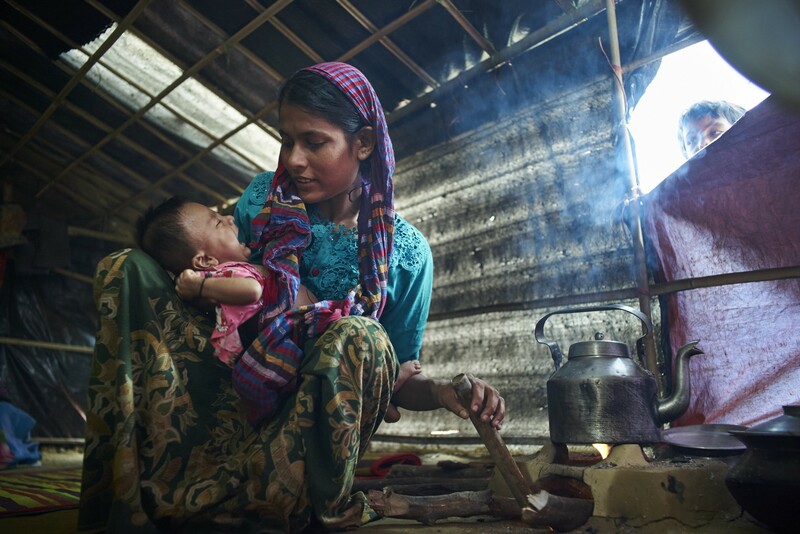 Twenty-year-old Minara arrived from Myanmar with her husband and three-month-old child, after a difficult journey. The three of them now live in a small shelter built of bamboo and plastic tarps, which does little to stop water leaking in during Bangladesh’s many downpours. When they first arrived in October they had no shelter, and no possessions. They remain completely dependent on whatever relief they receive from aid organisations. For families like Minara’s, even a moderate storm can have a devastating impact. Bangladesh is a low-lying country — most of it is less than 12m above sea level — and being situated on the vast floodplain of three great rivers makes it incredibly flood-prone. Most shelters are crudely made from bamboo and plastic. The camps are chaotic and crowded, springing up wherever space can be found. 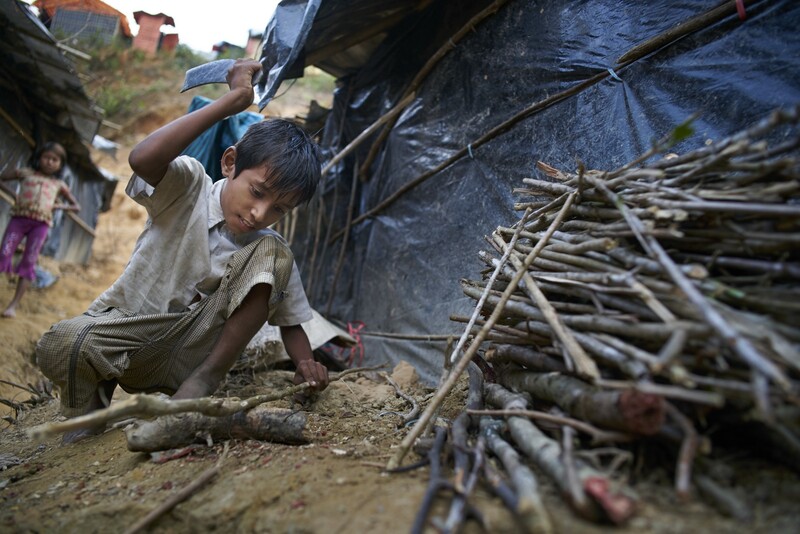 Children are often sent out to collect kindling or scavenge items to help support their desperate families. Sanitation and hygiene is a constant challenge, with roughly one latrine per 100 people, and the threat of disease is never far away. “Unsafe water, inadequate sanitation and poor hygiene conditions can lead to cholera outbreaks and to Hepatitis E, a deadly disease for pregnant women and their babies, while standing water pools can attract malaria-carrying mosquitos. Keeping children safe from disease must be an absolute priority,” says Beigbeder. A recent outbreak of diphtheria resulted in 32 deaths with at least 24 of them children. Any outbreak of cholera or diarrhoea or could kill thousands. In response, a Unicef-supported vaccination campaign for diphtheria and other preventable diseases has reached 150,000 children. But hundreds of thousands of children remain. In a crisis involving such enormous numbers, the number of children missing out on school stands out. 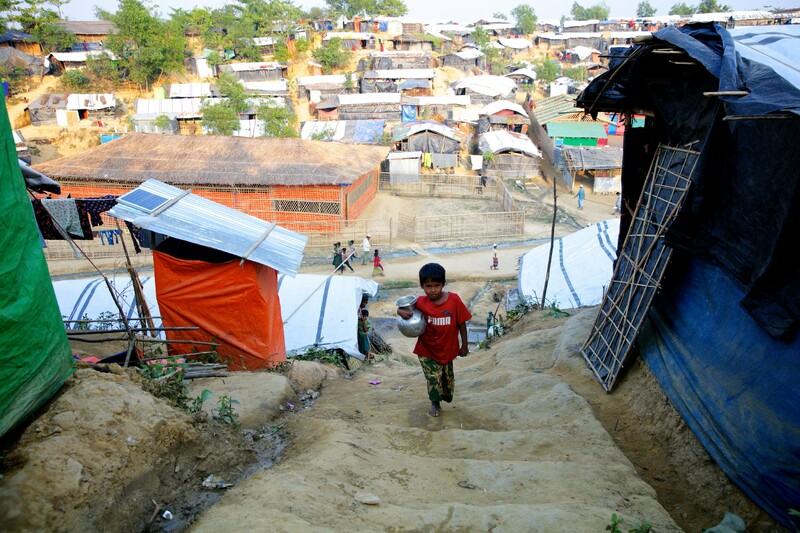 An estimated 450,000 Rohingya children are in need of education services. 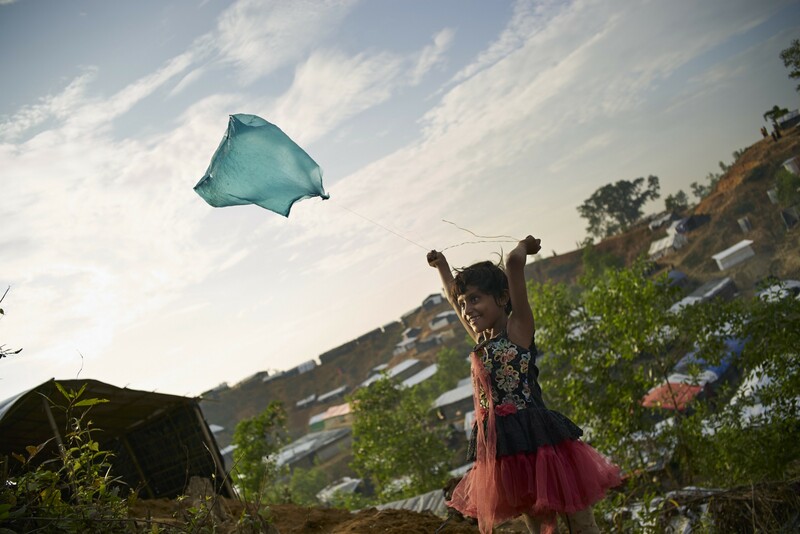 Among the desperate, muddy camp of Zero Point and the other Rohingya settlements crammed into Bangladesh, children just want to return to school. But for Huzzatul, his family, and 1.2m other Rohingya, this desperate existence remains preferable to the violence they left behind.